I created a video some weeks ago loosely based on how Bloodborne encourages players to create their own unique narrative through interaction with the games environment. 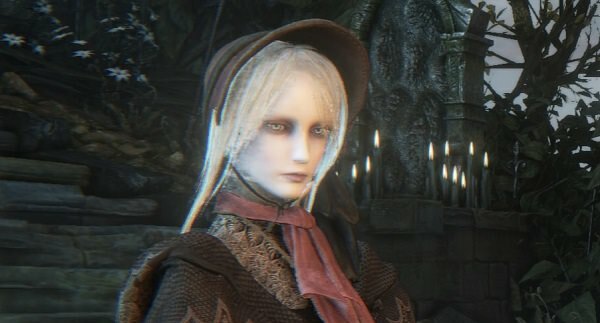 Unique in the sense that the way one plays the game and assimilates information it’s entirely possible to create an independent narrative within Bloodborne’s storytelling method. This is exactly what seems to have happened when countless players started committing suicide in front of an NPC called the Plain Doll. During the first few months of the games release, players were traveling in droves to the Abandoned Workshop to kill themselves. Standing in front of the Plain Doll they acted out elaborate death scenes using a variety of costumes and gestures. The ground at times literally bubbled like lava at her feet with the blood stains of dead Hunters. Why were, and still are but to a lesser degree, all these people taking the time out of their game in order to kill themselves? 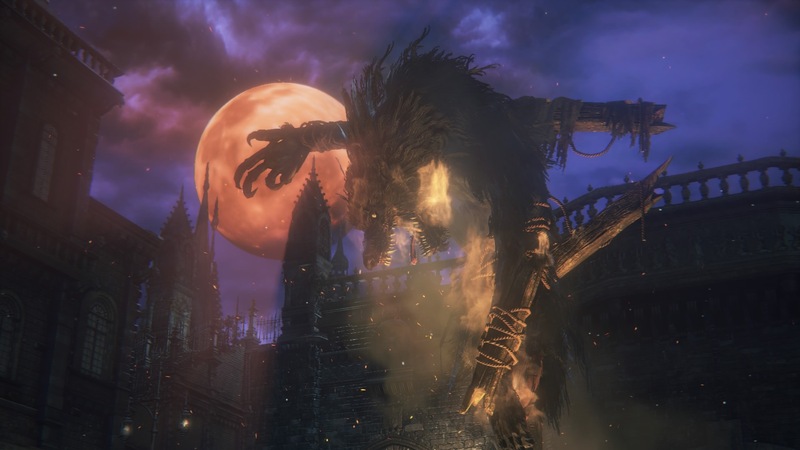 Considering all the bitching surrounding the lengths of loading screens when Bloodborne came out, and the many deaths one suffers in the natural course of the game, going to a relatively secluded area for the sole purpose of dying is no small commitment. Making the assumption that most people who sacrifice their character to the Doll are simply copying the actions of others or are just curious to see if something special happens when you die, I doubt there is any consequential meaning in their intention. However, meaning is not dependent on the intention of a person. Meaning is created through the interpretation of an action and that meaning is always subjective to the interpreter. Any given experience can be translated in a variety of ways with differing conclusions predicated on the viewers countenance. The accuracy of the interpretation isn’t necessarily relevant. I can say the world is flat and that definition of the world will shape my thoughts and who I am, making its meaning true for me; as such meaning becomes subjective to the observation of experience. We see this idea reinforced everyday in political and religious debates. Politicians debate the existence of global warming in the face of damning evidence that our polar icecaps are melting. Bloodborne’s method of storytelling adheres to the idea of subjectivity in meaning and not only encourages us to be creative in our interpretations but gives us room to actively pursue our own narratives. So, putting aside the intentions of the players, what are we to make of this bizarre scene in this quiet secluded home in the middle of Yharnam? How are we to interpret these deaths? Well, first we need to define the player within the story and then how that definition relates to the actions taken by the person committing ritualized suicide. 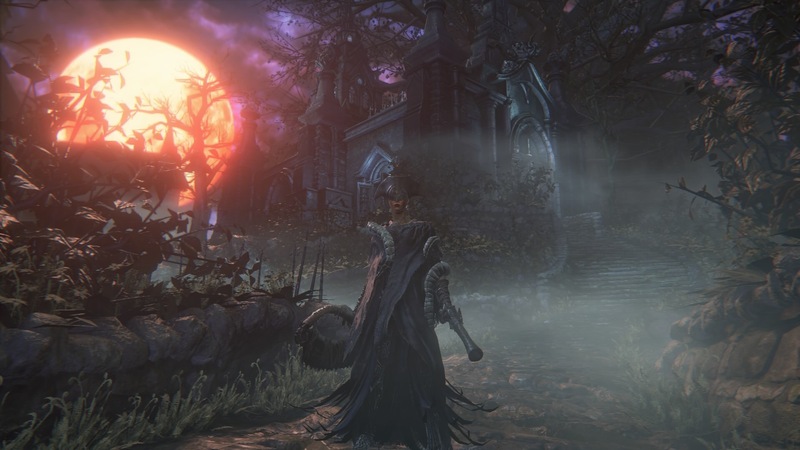 The player is a Hunter who is protecting the citizens of Yharnam from a plague. The plague is called The Scourge of the Beast and it’s responsible for the infestation of monsters throughout the city. While traveling through Yharnam searching for clues to the source of the Plague, the Hunter, as is his job, is killing beasts. Slowly the Hunter comes to an understanding, the monsters he is killing are actually people. A virus has spread through Yharnam due to the popularity of blood rites which has caused its citizens to transform into assorted grotesqueries. Unfortunately, the Hunter soon discovers that he too has been infected and soon will become what he is in charge to destroy. Now that we have a context for the player within the narrative, we can create an anachronistic definition for the players actions. Basically, a story within a story. Hunters from Ancient Greece were some of the first to ritualize the process of sacrifice during their hunts. The practice is thought to have originated in order to compensate for the guilt of killing a living being. At the end of the hunt a sacrifice would be offered to a particular god with the hope that the Hunter would be released of responsibility from the creatures death. More commonly, ritualized sacrifices were performed to ask for divine favor. These sacrifices, which included bloodless offerings, often were for the purpose of luck during a hunt, a bountiful harvest, rain for crops or any number of benefits for individual and family. Since the Gods were often tied to natural phenomena it was fundamental to the lives of these Hunters to make the offerings in order to avoid all kinds of repercussions from nature. In the video The Rite of Hunters, I present the story of a Hunter who has fallen victim to her methods. She has come to the realization that the Beasts she had been killing all suffered from the same illness as her and not only is she culpable for their deaths but her continued existence should be questioned. To absolve the guilt from these killings she seeks redemption at the home of an Idol. An Idol that represents the supernatural in the Hunters waking dream and a conduit to a sentience with divine power. In order to define the Hunters experience definitions are presented as examples for the action. The Rite becomes the multiple suicides that have been performed by Hunters in the Abandoned Workshop in honor and for favor from The Doll. The Guilt is the act of murder the Hunters have preformed because of ignorance and duty. The video ends with the Hunter making an offer through a sacrifice of herself. By honoring the Idol with this sacrifice the Hunter is asking for absolution of her guilt in the hopes of redemption later in the game. This is just one interpretation of the video and other interpretations will be just as valid. The reasons why players have been performing ritual suicides in front of the Doll are purely incidental on an individual level and can be interpreted many ways but ultimately the volume of sacrifices become meaningful on a meta scale. Here is where the beauty of Bloodbornes narrative method really shines. Through its interpretive countenance we are allowed to include something that wasn’t ever intended by the creator. We are being asked by the games designer to become part of the story by creating our own narrative. The ultimate responsibility is upon us. We can create our own story or we can play a part in the designers story or as a collective group of participants we can act together and create something altogether new and maybe unique, but in the end through observation, interaction and participation the story is ours.